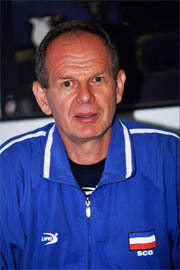 Ljubomir Travica has been the coach of the Serbia and Montenegro men's team since taking over from Veselin Vukovic. 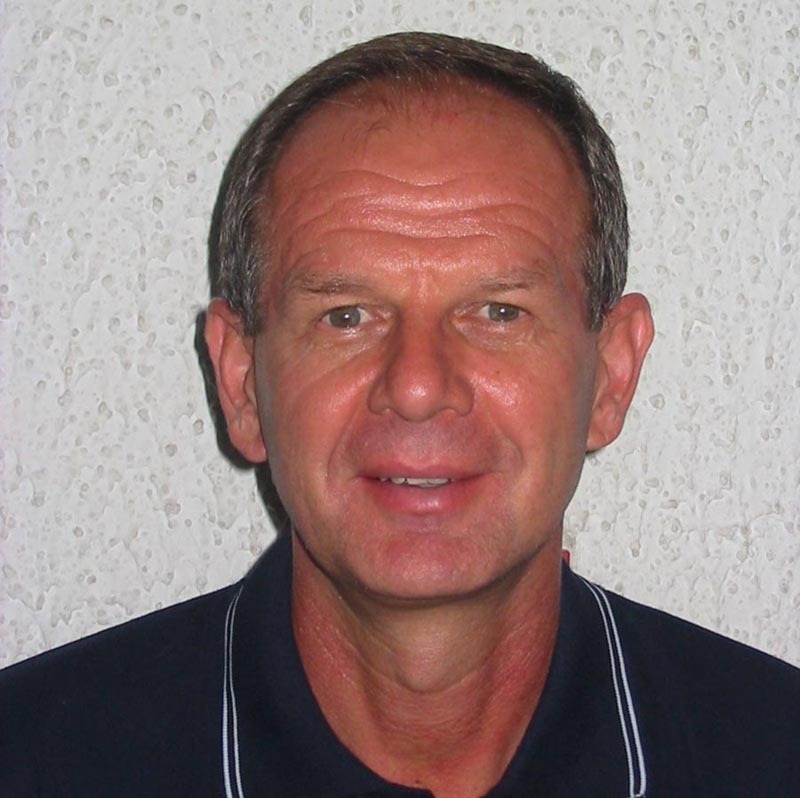 They are big shoes to fill after Serbia and Montengro finished second at the 2003 World League under Vukovic, losing in a sensational final to Brazil. 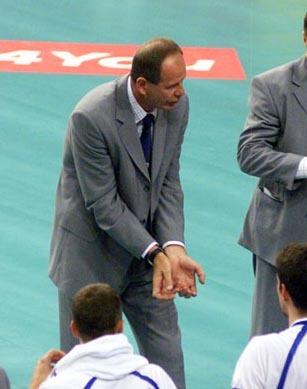 Travica has since led this giant of world Volleyball to third place at the World Cup. Travica's first appointment was the European Championship in Germany in Septemeber where he saw his side finish fourth behind Italy, France and Russia. A wildcard helped Serbia and Montenegro reach the aforementioned World Cup and because of the bronze medal the team gained in Japan, a qualification spot at the Olympics was earned. Travica was and is still in the service of the Greek club Olympiakos, but the club and the Serbia and Montenegro National Federation have come to an agreement to accommodate both roles.